Street Films, a project of the Liveable Streets Initiative. I promise to get back to writing longwinded near-rants one of these days, when I’ve got some more energy. I’ve got an art show coming up in a few weeks that I’ll get to talking about in a little while. “With the majority of the world’s 6.5 billion human beings now living in cities, building healthy, livable and affordable urban environments is critical to the mission of today’s global environmental movement. The Livable Streets Initiative is an online community for people working to create sustainable cities through sensible urban planning, design, and transportation policy. We provide free, open source, web-based, resources to citizens working to create a greener economy, address climate change, reduce oil dependence, alleviate traffic congestion, and provide better access to good jobs in healthy communities. 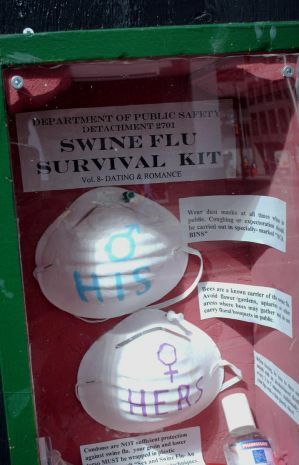 I saw a few of these around the Market area. I love ’em. 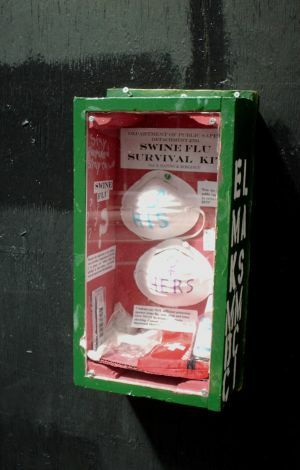 And my apologies if the blog has come to resemble an RSS feed in the last little while. I’m too busy to have much time for screeds and rants. This is an awesome idea, but then again you probably already know that I love the idea of Temporary Autonomous Zones and temporary public space improvement. “TAA’s are free, open access art exhibitions that take place in disused and reclaimed spaces throughout the UK. Reclaiming space that has no other immediate purpose, we will be repairing, making safe and improving the building we use before transforming it into a vibrant, organic, artistic statement. We want the people of Brighton to come together to create a cultural, interactive autonomous space where people are free to be, free to create and free to express themselves. They’ve got good rates if you’d like to rent some art. So check ’em out. 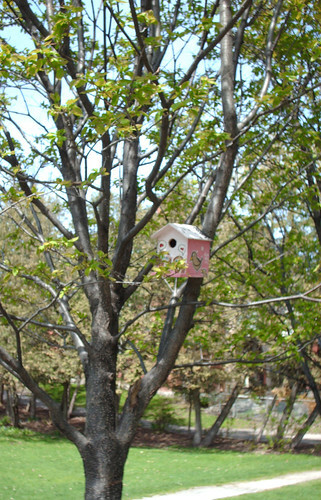 The mission to provide low-cost, prefabricated housing to Ottawa’s bird community finally saw success yesterday. 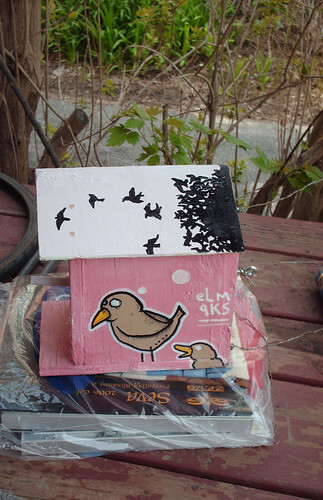 This birdhouse was built entirely out of scrap wood which I found at construction sites or in trash piles. Building it wasn’t that half as much of a challenge as hanging it was. Due to unforeseen complications related to the wire I chose to hang it with and maintenance workers, I wound up hanging it in a public park.